Nickelodeon Opens New State-Of-The-Art Facility! 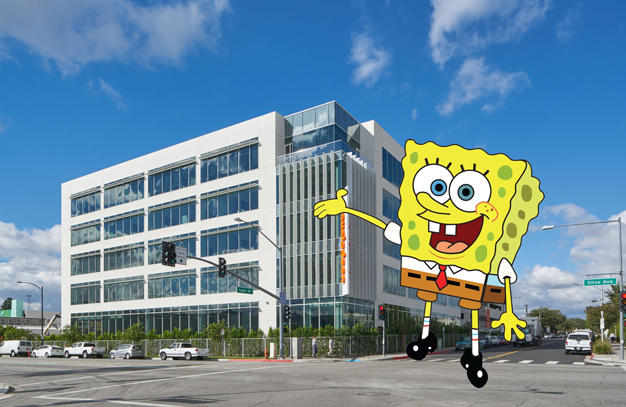 Nickelodeon has officially opened the doors to its newly expanded studio facility in Burbank – an over 200,000 square-foot, state-of-the-art, sustainable complex now home to more than 700 Nickelodeon employees and over 20 show productions, including the biggest hits in kids’ TV like The Loud House; SpongeBob SquarePants; Shimmer and Shine; and Teenage Mutant Ninja Turtles. Nickelodeon’s facility now includes a new five-story, building; an expansive, redesigned courtyard; and the newly renovated, original 72,000 square-foot studio that first opened in Burbank in 1998. An on-site rotating art gallery will showcase both internal and external artists’ work. There is also an archive and library of the brand’s early days, paying tribute to the diversity of its long list of contributing artists and featuring pencil test renderings, creators’ notes and painted cells going back to the brand’s classic ‘90s series. 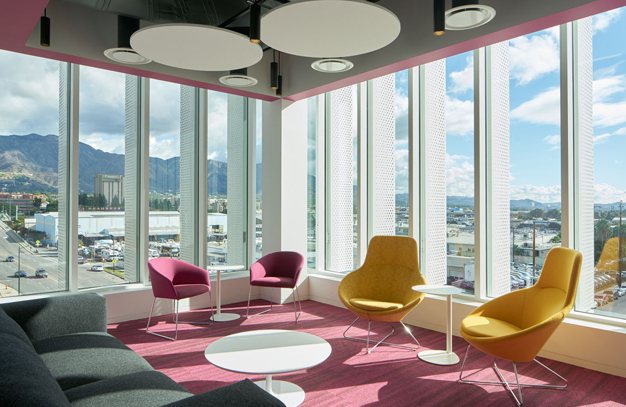 Through a partnership with STUDIOS Architecture, ARC Engineering and Brightworks Sustainability, Nickelodeon’s West Coast facility targeted LEED gold certification by integrating sustainable strategies and resources into the design and operations of the building. 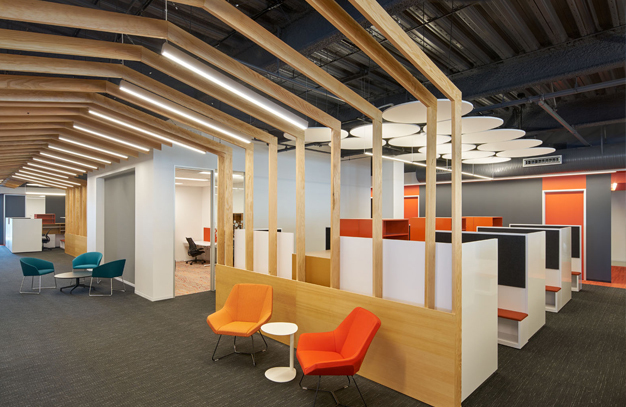 To help optimize energy-efficient performance, lighting power is reduced by over 50% through efficient LED fixtures, lighting controls and use of daylighting. Priority was also placed on use of healthy and environmental building materials, such as low-emitting flooring and paint, and use of products with high recycled and regional content. 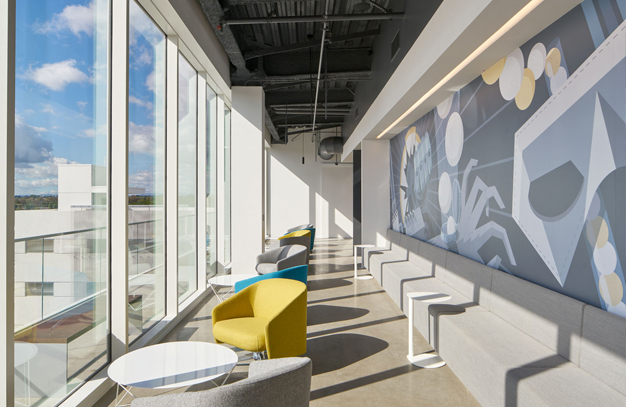 Also at the new building, employees are invited to create, broaden their artistic reach and experiment in two artistic play spaces housing traditional and new technology. The traditional space will feature stop-motion capabilities and animation discs and paints, while the other space will feature new technology with the latest animation software. Nickelodeon, now in its 37th year, is the number-one entertainment brand for kids. It has built a diverse, global business by putting kids first in everything it does. The company includes television programming and production in the United States and around the world, plus consumer products, online, recreation, books and feature films. Nickelodeon’s U.S. television network is seen in more than 90 million households and has been the number-one-rated basic cable network for 20 consecutive years. For more information or artwork, visit http://www.nickpress.com. Nickelodeon and all related titles, characters and logos are trademarks of Viacom Inc.
All content courtesy of Viacom Inc.